Found in south Jersey, most commonly in coastal ponds. 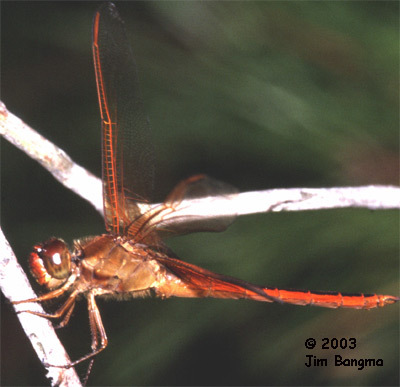 Usually frequents the edges of small marshy ponds. 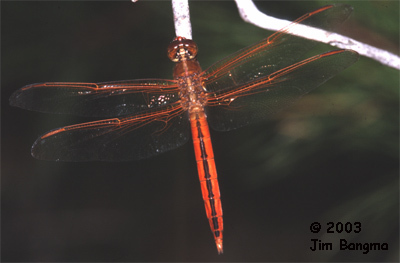 Hey, dude, it's a bright orange bug!! 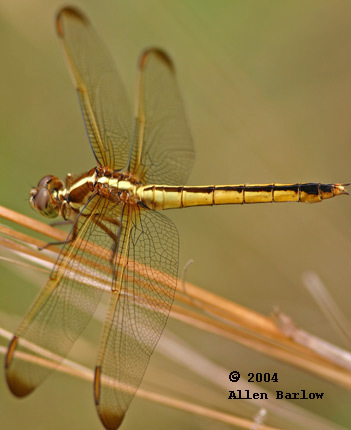 Golden-winged Skimmer, a more inland species, is similar but not as bright, with more orange in the wings, especially to the rear. 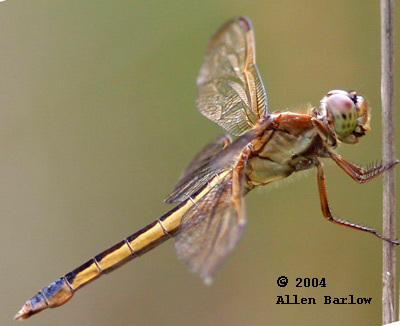 Females and tenerals have minor differences in thoracic patterns that are beyond the scope of this site.